The Incentive FM Cup Competition, engages clubs throughout Surrey across all levels. With a record 38 teams participating across 5 pitches over 3 days, a bumper weekend of rugby culminates in a full day of cup finals on Bank Holiday Monday. Congratulations to Wimbledon for winning the Surrey Cup beating Esher 19 – 17 in the Final & to Guildford Ladies securing the Ladies Cup Final beating Wimbledon ladies 35-5. 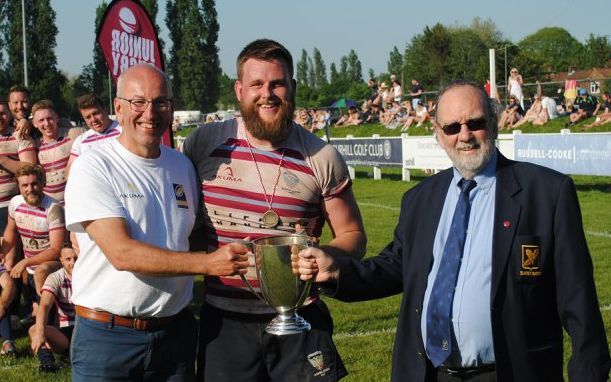 We are delighted to have sponsored The Surrey Rugby finals day for the ninth year in a row. We have formed a great partnership with Surrey Rugby. Sport plays a big part in our world of providing our various services for the workplace (Cleaning, Security, Consultancy and Building Maintenance and Facilities Management), and we continue to remind ourselves that people do business with people they like, and sports people tend to like sports people. It is great to see such a full line up of matches this year which promises to be a great day of rugby and camaraderie – this year even with sunshine I expect! This is always a happy event; I hope you have a great day.